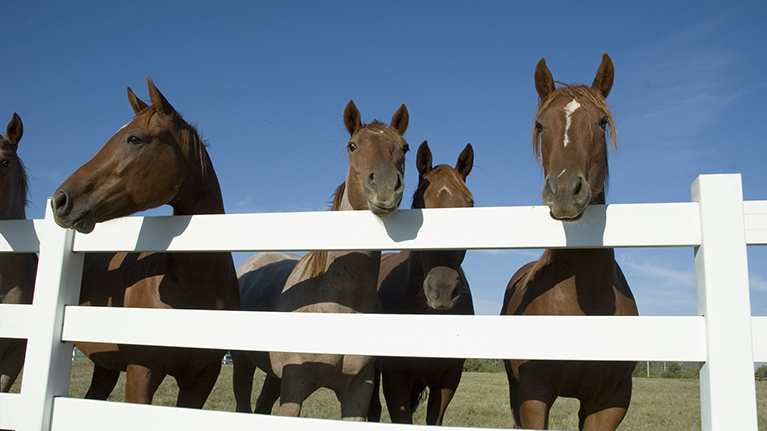 The Division of Agricultural Sciences and Natural Resources and the Department of Animal Science at OSU are critical to the national equine industry as it prepares students for careers as trainers, farm managers, Extension educators and equine specialists in the midst of horse country. 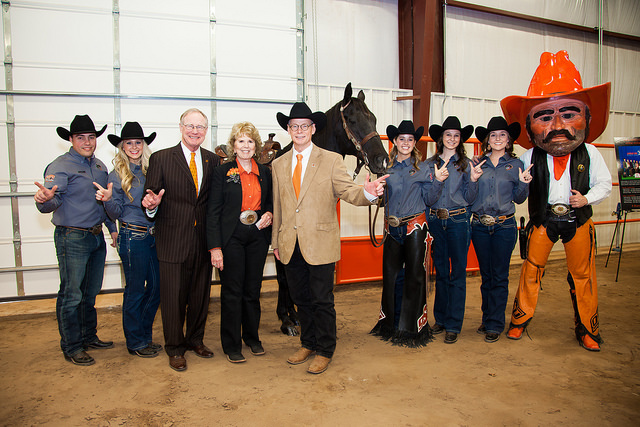 When you support the Equine, you help shape the future for Oklahoma State University. By contributing to the fund below, you make our future brighter orange! 21-75500 - This operating fund benefits programs through DASNR. The Division provides educational and Extension programming, including 4-H support to the entire state. 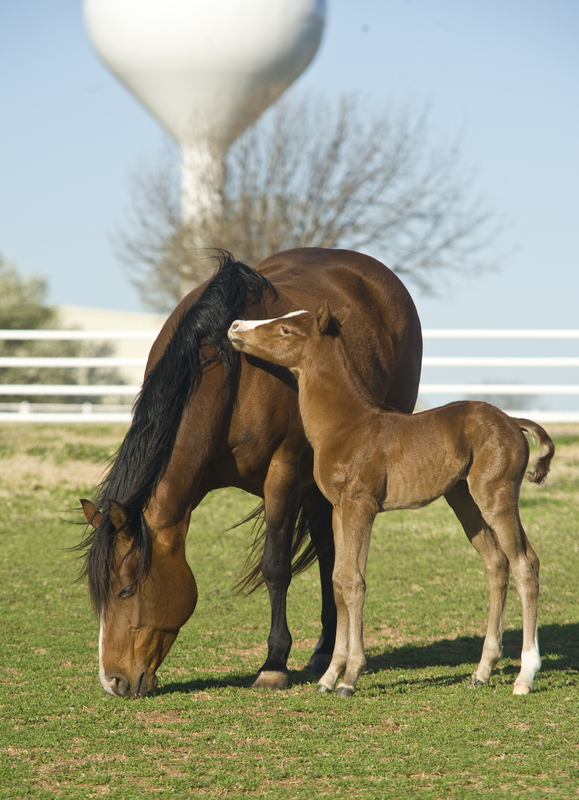 Oklahoma has the most horses per capita for breeding, racing, competition and recreation. Statewide, the industry employs more than 35,000 people and accounts for $3.6 billion in the nation’s economy. OSU seeks to create the equine enterprise management program to provide students the needed skills to integrate into the horse industry while also allowing horse enthusiasts an opportunity to gain valuable knowledge to help them with their own interests. This will be accomplished by facilitating internships with leading service providers; providing an in-depth curriculum in the areas of equine science, business management, training, judging, etc. ; and providing more on-campus work experience at the Charles and Linda Cline Equine Teaching Center. Under the new program, students and other participants who complete a required number of hours in equine courses and who meet other criteria would receive a certificate of completion in equine enterprise management. 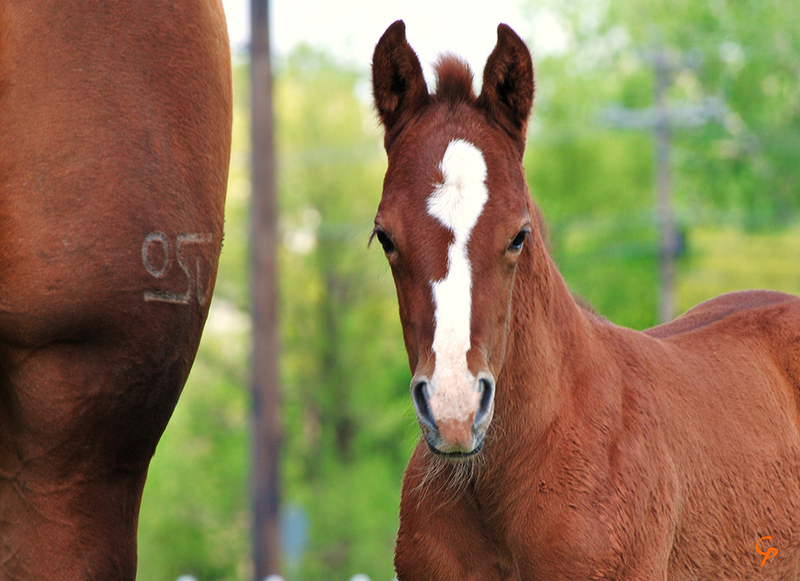 This program will enable OSU to be at the forefront of equine education and Extension, fulfilling the growing demand for future equine professionals. This gift will provide for the construction of the new facility, which will elevate the equine program at OSU. The Charles and Linda Cline Equine Teaching Center will include stalls for foaling mares, a small indoor arena and a classroom. The classroom provides needed space for course lectures and labs, as well as meetings for clubs and other horse organizations. Additional interior naming opportunities are available here. A cover over the existing outdoor arena will connect the barn and create a space for classes, clinics, 4-H programs and other Extension opportunities with protection from the elements. Adding a faculty position that develops, coordinates and supports county-based youth curriculum will provide county educators and volunteer leaders the expertise to manage horse project clubs and activities. Additionally, increasing the faculty support in equine subject matter courses will allow for the possible expansion and frequency of courses and instruction of equine subject matter into graduate-level courses. With a growing number of students interested in equine programs and careers, we look to raise funds to provide additional scholarships and opportunities. 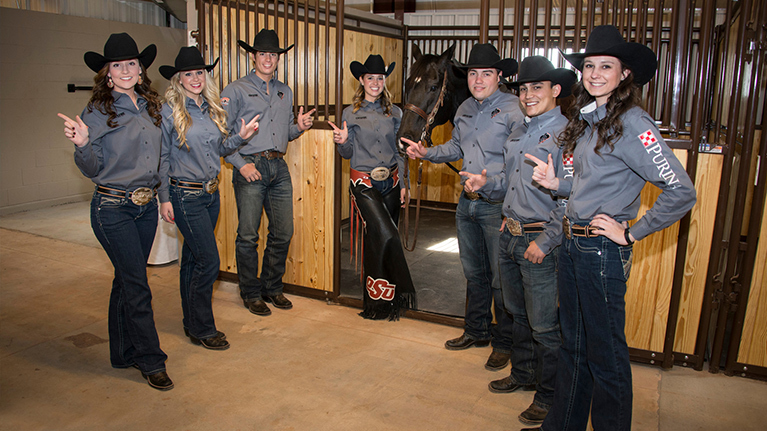 Other needs include support for the horse judging team, travel expenses and support for graduate students. 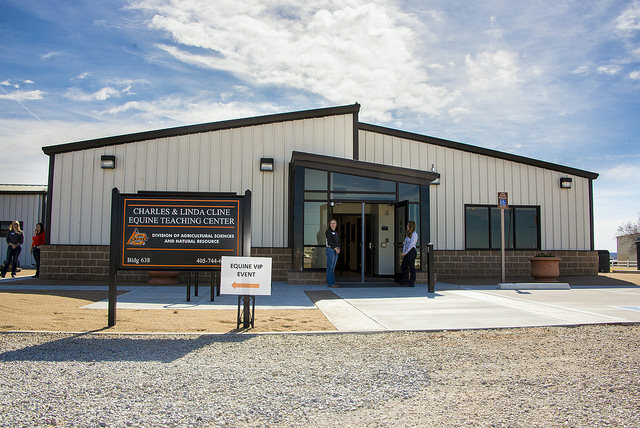 The Charles and Linda Cline Equine Teaching Center enhances the way students learn at OSU by bringing together classes and labs with experiential learning on site. For the first time, students at OSU can attend a class, conduct lab work and build their experience in the covered arena all in one location. 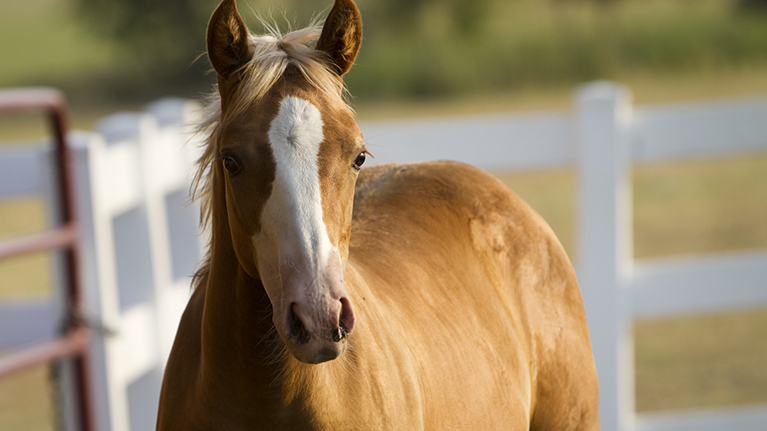 Curriculum at the Center includes lectures in horse science and equine training, as well as horse judging and labs relating to equine breeding, nutrition and health. This facility provides a meeting space for the Equine Advisory Committee, 4-H Horse Council, horse owner workshops, 4-H workshops, and producer and industry meetings. The new Foaling Center with a foal watch room allows students and faculty to continuously monitor mares without disruption. Join us today as we continue a legacy of success in the Equine Program at Oklahoma State University. Funding priorities and opportunities abound in our vision for the future. For more information or to discuss giving options, please contact our Senior Directors of Development for DASNR Kathy McNally. Click here to learn more about giving opportunities for DASNR.